Ey, the dev team's been pretty silent for a while. Any news? Yep. Expected the 2nd mappack to be released after a few weeks or a month. Well.. seems to me my expectation was a bit high. But how's the current state of development? 1. In "The Insurgent" mission of "The Stand" Campain Aldaris unit is called Karass. 2. In the "Countdown" mission of "The Stand" Campain there is no Artanis unit. Can confirm. Additionally, Artanis is not in The Battle of Braxis mission either. -Zerglings and Hydralisks have custom models for SC1 like versions somewhere on the internet. -Ghost Academy Splats should not appear beneath the Academy model. TERRAN 4: Siege Tank Wireframes not matching. Its all on the Normal difficulty. Sorry for picking on minor issues. Missions 'Operation Silent Scream' and 'Biting the Bullet' have 'Save Failed' problem. Science Vessel auto-casts Shield on enemy units, ignoring Ally units. Starting and restarting this or that, doesn't help with 'Save Failed'. Raynor's death in mission 'The Trump Card' doesn't trigger mission failed. "Save Failed" is not an SCMR problem, it's problem with SC2 in general, and happens even in official campaigns. Science Vessel problem is fixed and pending release. For Raynor not triggering Game Over, post about it in Issues tab above please. For me, Save Failed happening only in 'Operation Silent Scream' and 'Biting the Bullet'. Ironically, those are excact missions, not present in original SC1 as part of Terran Story Episode. Therefore, saving works alright in any other missions. Means, problem is not Global, it is Local. Apologies if this has been discussed or addressed elsewhere, but Google fails me for once. I'm getting the issue where every time I try and save my progress mid-mission it says 'Save Failed', and doesn't give me any further information as to why it's failed. If I do the old trick of having a save game from having loaded the map via the editor test flow t hen loading that when logged into SC2, it'll do it every time. If I use the short-cut which is created by the automatic installer, it works fine for the first mission I play but if I complete one and carry on into the next without restarting first it'll do the same thing again. Does anyone know a way to solve this properly? I've only had the issue really since trying to use the new V7.0 version of the mod. This is an old Blizzard screw-up that they still can't seem to try to fix. As far as I know "Save Failed" only happens when logged in. 3. F10->End game->Return to SCMR menu. 4. Launch this map again. How is development on episode 4-5-6 coming along? Do you guys have any ETA for the next release? Hello i found a bug on 7.0 terrain campaign where your own science vessel will auto cast defence matrix on enemy unit from a far or up close. It's fixed and pending release of next version. 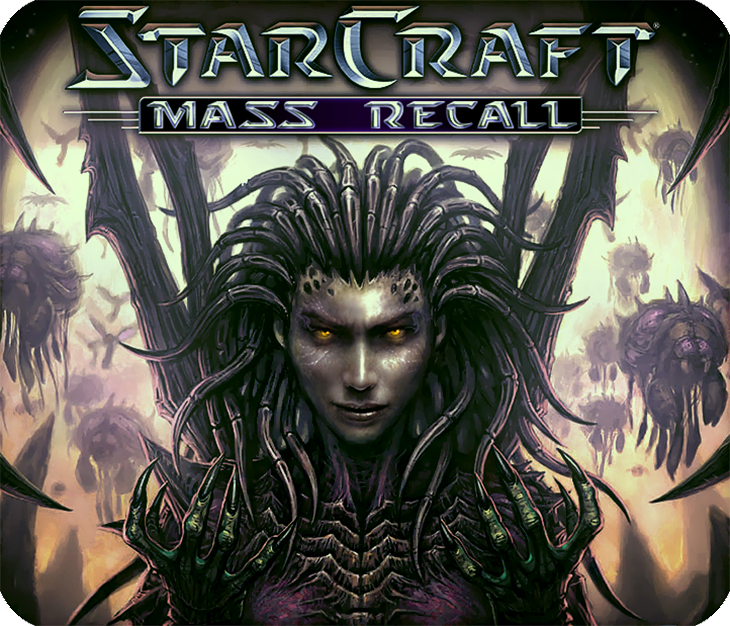 The Starcraft Field Manual confirmed that the Starcraft I Zerg, Terran, and Protoss units were canon and were older versions of the SC II units. This was also confirmed by Starcraft: Remastered. For instance, the Zerglings in the SC I era don't have those sickles but instead have little claws. The older Hydralisks only have one bone scythe not the triple one in SC II, and the Ultralisk in Starcraft I does not have double scythes but only a single one. I was wondering if there were plans to make Zerg models that look more like the SC I models? I don't know if the models are implemented yet, but they definitely will be by the time the mod is completely through playtesting.